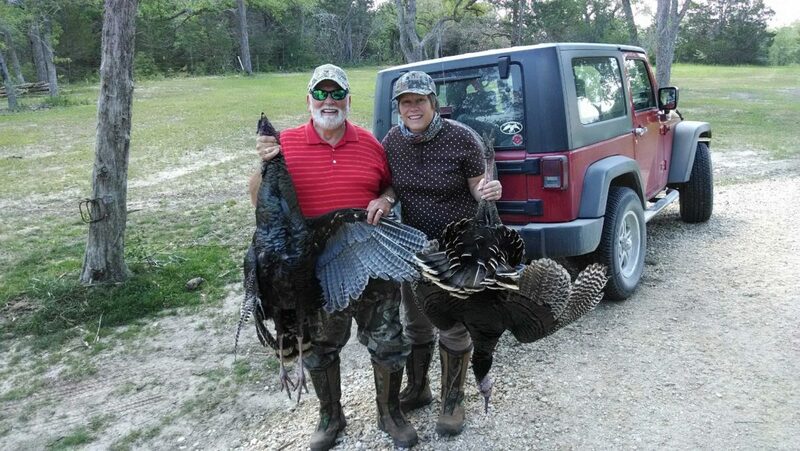 Mike and Karen Vaughan with Rio Grande Turkey shot while hunting in Gonzales County. This was our first turkey hunt together. Mike called in three gobblers and each were able to take one. We were elated!